Metronomy just released their fifth full-length, Summer 08, but fans expecting the band to tour will be surprised to learn that there are no immediate plans to hit the road or even do the typical summer festival dates back home in the UK. "I just wanted to release a record quickly, but having only finished touring last September, it seemed like a bit too much to ask to go and leave my family again," Metronomy frontman, producer and songwriter Joe Mount tells Exclaim! "But we will be touring some time next year and play these songs. Musicians have to tour if they want to survive." Although there are no other members of Metronomy on Summer 08, there is one collaboration: the recent single "Hang Me Out to Dry" features Robyn. 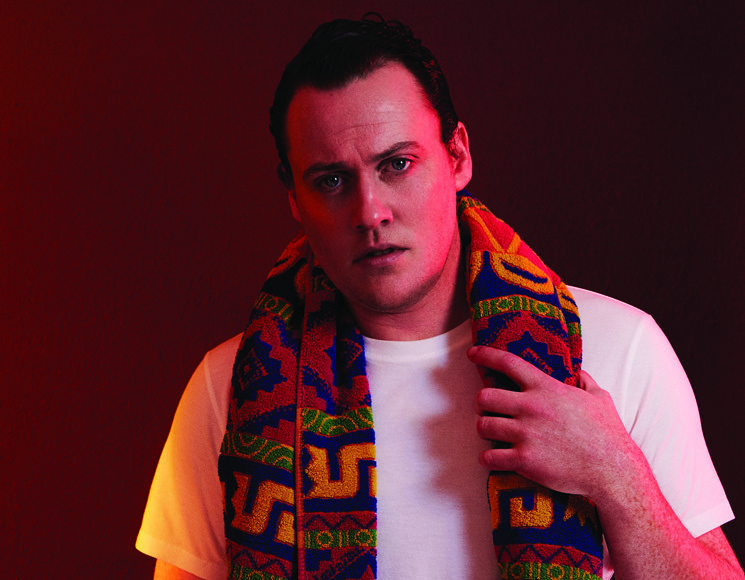 Mount believes there is plenty of common ground between what he does with Metronomy and what the Swedish star does with her ever-evolving pop music. "I think there is crossover between what I do and what she does," he explains. "She is a pop singer and a pop star, but she has this interesting production and [is] progressive with her music. And I am someone who aspires to make pop music, but I'm not really a pop star. There is a relationship between her and me, and I think musically we've been working together and I've become a very big fan of her voice. I felt like it was a nice thing to do on a Metronomy record: to connect to that world of pop." Mount adds that "Hang Me Out to Dry" might not be the only thing we'll hear from the collaboration. "We've been writing together for a while now, songs that are maybe for her." By not supporting the album with live dates and recording on his own, some have been questioning the legitimacy of Summer 08 and its place in the band's catalogue. But Mount has been the creative force behind Metronomy since he began using the moniker as a teenager in 1999. So when it came time to work on a follow-up to 2014's Love Letters, he pulled a quickie, without the involvement of any bandmates, mostly out of expediency. "It's funny because for me there isn't a huge difference. It's all sort of produced and written by me," Mount says. "The difference with Love Letters was that I intentionally involved the band. The people that played on the record were the people that were going to play it live. And I guess with this record I wanted to do it quickly, and not feel like there would be a three-year gap between albums — partly for practical reasons, because I've got kids. In terms of finding time when other people can do it, it's much easier to just find time when I can do it. But it's also how I used to make music in the very beginning. I would do it on my computer on my own, and part of making this album was really trying to recreate that exact environment." The title Summer 08 is a direct reference to the year he released what is considered the first official Metronomy album, Nights Out. Wanting to return to the simplicity of making that album, Mount used that album as a guide for this new one — both in title and process. "It's the year that Nights Out was released, and I was certainly trying to let myself write in that same instinctive way that I did when I made that album," he says. "Nights Out [was] the first record that I sang on, and the first record that got a proper release where we had promotion and toured the world. It was the beginning of what took us to where we're at now. It also remains the most idiosyncratic Metronomy album, in a way. And what I did after that was I ironed out those idiosyncrasies, because I wanted to, really. "But this one, it was nice to allow them back in and do something in the same spirit. I wanted to try and have another taste of that, because I really love Nights Out, and I feel like it's a very pure Metronomy record, in a lot of ways." Check out "Hang Me Out to Dry" below.